MoMo 2.0: Why Herning is Cool! What do all these names have in common?? They are all folks who have been to Herning since I moved here, and they are all reasons for you to think that our little ol' town in the middle of Jutland is PRETTY DARNED COOL. But wait.... I have another reason for you to think that we are JUST AS AWESOME (or maybe even MORE AWESOME) than, say....Copenhagen?!?! You need to THINK PINK. Giro d'Italia is a long distance road bike race for professional cyclists held over three weeks in May in and around Italy. It is one of the three Grand Tours, right alongside the Tour de France! Traditionally it starts somewhere in Europe (usually somewhere big and fancy like Athens or Amsterdam) and then the riders make their way to Italy... but guess where the Giro is starting its 2012 race???? 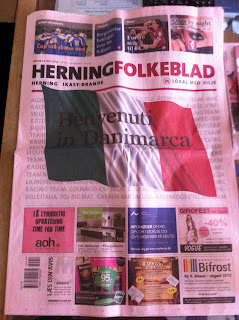 Yep, LITTLE OL' HERNING! AKA the MECCA of JYLLAND! And you thought we only had big concerts! 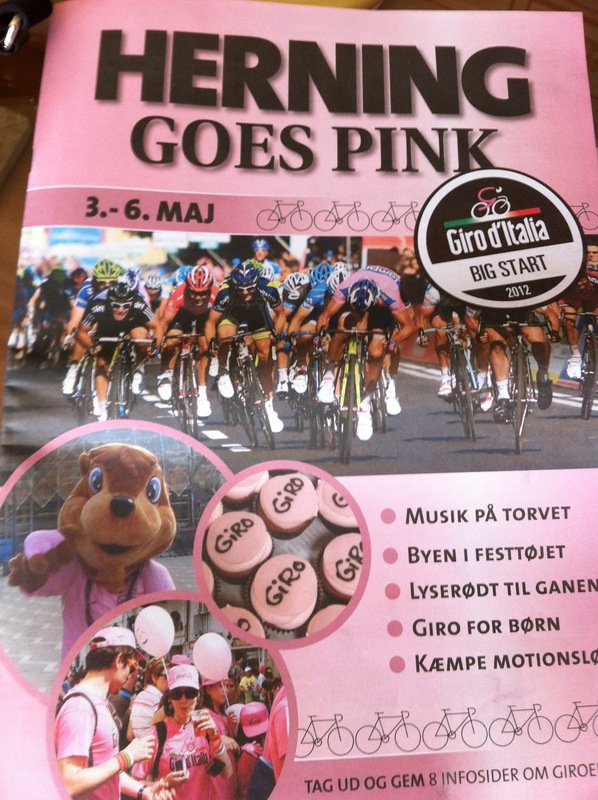 They are predicting that somewhere close to a half-million people will make their way to Herning this week....all for the kick-off race of the Giro which happens tomorrow about a half-mile from my house! Even the Danish Prime Minister and CROWN PRINCE will be on hand for the big event!! 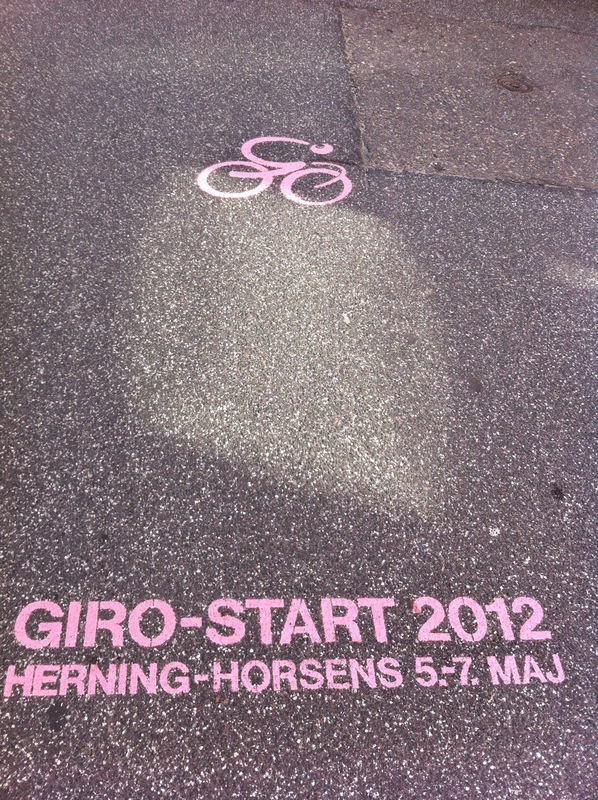 But how does you know that the Giro has come to Herning?? JUST OPEN YOUR EYES, but warning....you may need to put on shades! In the Tour d'France, the goal for any rider/team is to get that coveted YELLOW JERSEY....to show that you are in the lead! 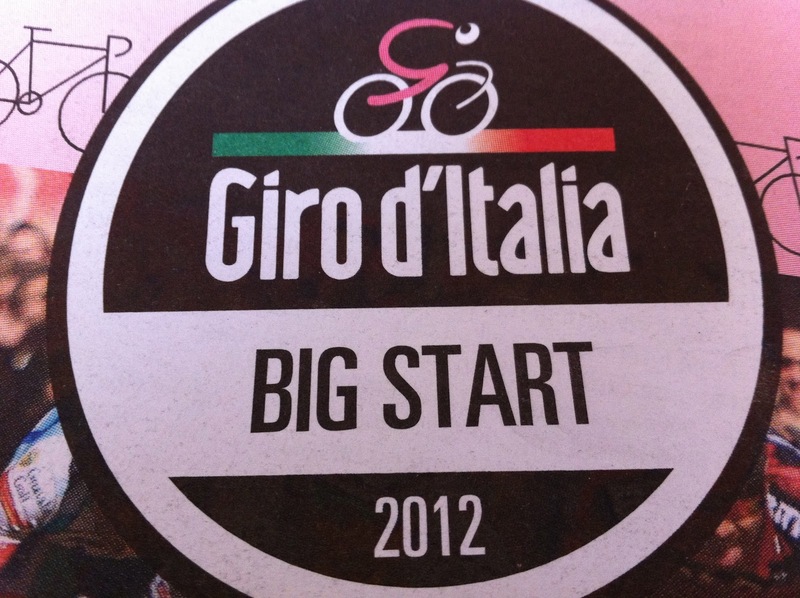 The Giro race does something similar, but its coveted jersey is PINK! 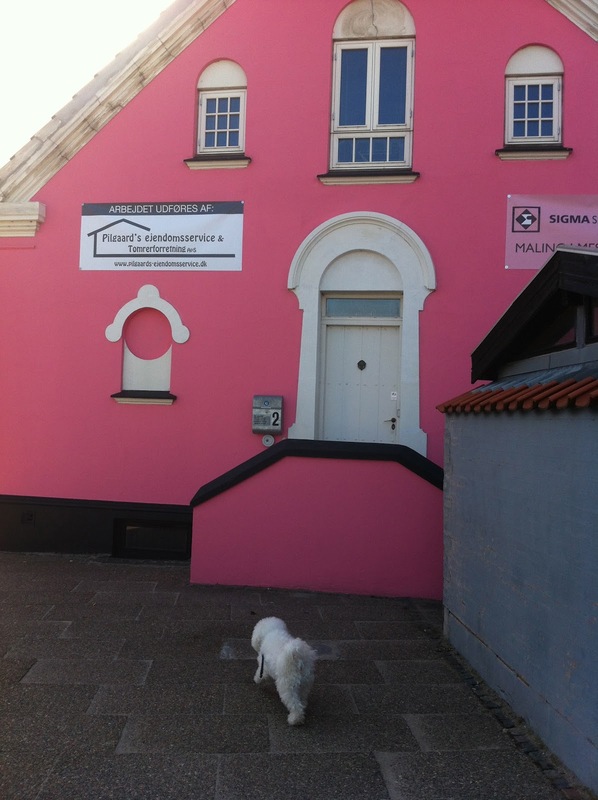 Right now when I walk down the streets of Herning, all I can think about is that quote from Steel Magnolias when Sally Field's character (describing Julia Roberts' character's upcoming wedding) says that "the church looks like it's been covered in Pepto Bismal"..... Yep, that is our darling little town! Take a look! 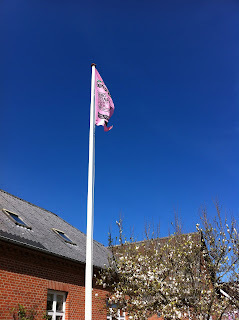 Many homes have put away their Danish flag for the weekend....and are flying the Giro flag! Party in city square tonight! We have new bike lane markers! Our papers have been pink since Wednesday! 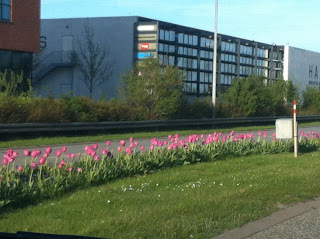 The grass on all the roundabouts has been PINKED! Pink tulips are popping up all over town so you know we have been planning this for MONTHS! and painted their houses in honor of the event! going to the HERNING-ITES this year! Makes me wan to get on to my bike! 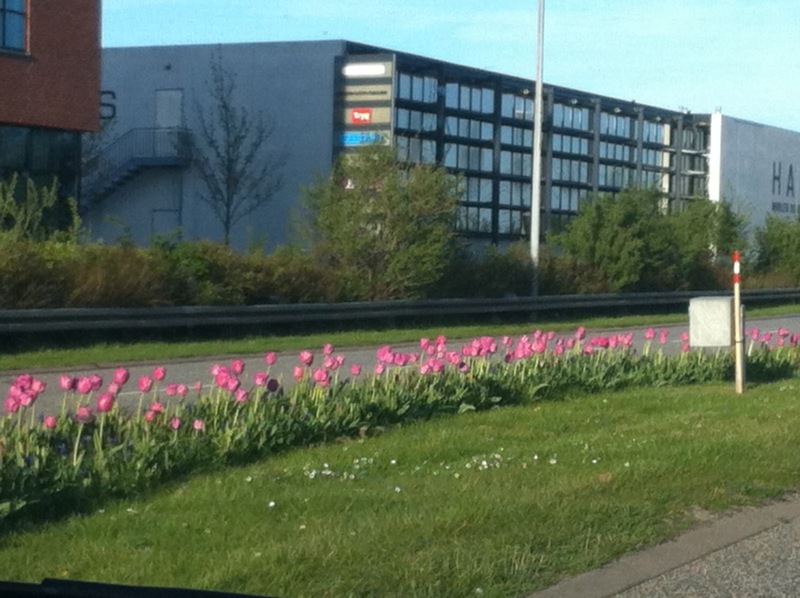 Herning looks pretty in pink! 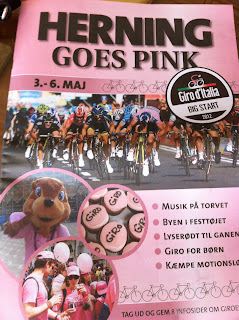 Kelli, I've been watching the giro and loving seeing Herning and saying I (cyber) know someone who loves there! It's so much bigger than I thought. 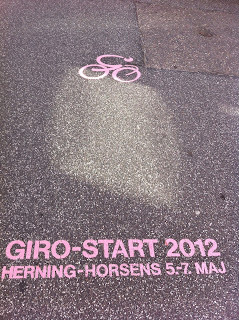 Loving seeing Herning on the giro! Great photos Kelli. And yes the house is really too extreme. They need to repaint and go back to Danish mellow yellow. 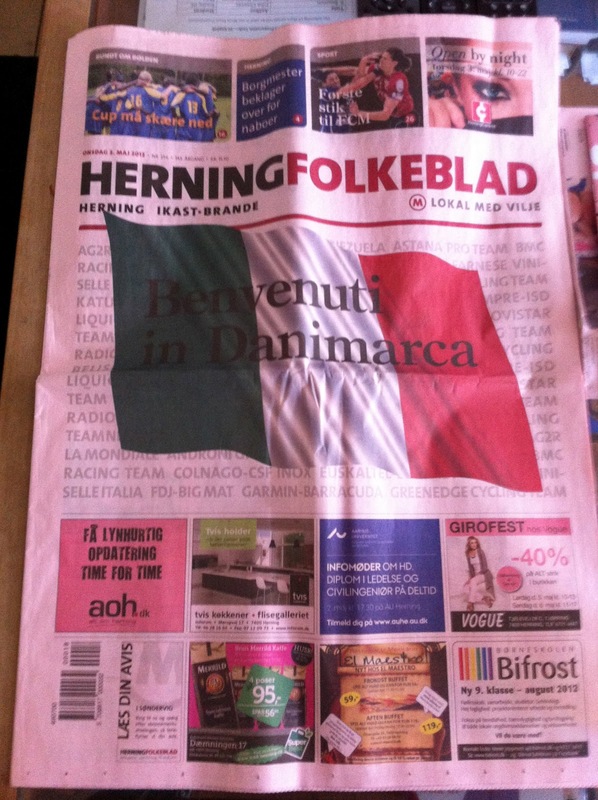 We moved here a couple weeks too late, I would have loved to be in Herning when all that pink was going on. 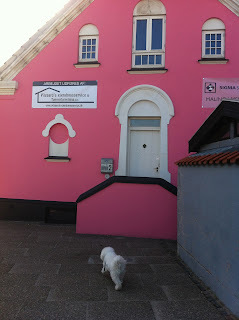 I just said to Henry a couple of days ago too how fun I thought that house looked, but I had no idea it was painted pink for the race. Definitely a bit extreme! Herning is boring. Never been to any country that is more boring than Denmark. Restaurants empty in the evenings. No one on the streets. Not a single Danish restaurant.